Will Smith’s unbeaten 142 enabled promotion-chasing Hampshire hold out for a draw against Kent in Southampton. 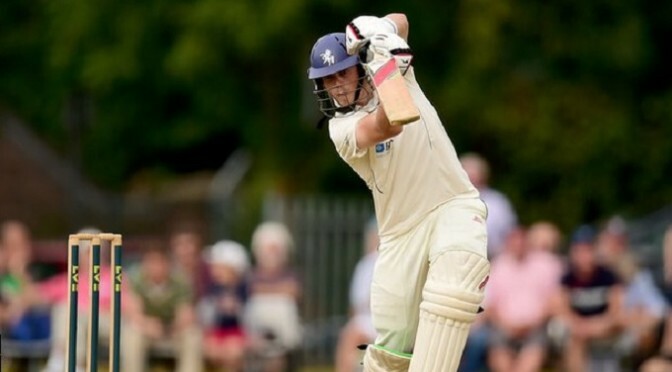 Following Essex’s innings and 79-run victory over Leicestershire,Hampshire head into their final Championship match knowing that only a victory will guarantee promotion to Division One for the first time since 2011. Sam Northeast made a century before Kent collapsed against Essex as 14 wickets fell on day one at Chelmsford. The 24-year-old batsman made 117 and shared a 83-run sixth-wicket partnership with Sam Billings (51). David Masters took three wickets for five runs from his first 5.2 overs as the visitors were bowled out for 198. Essex’s reply faltered as Darren Stevens removed Jaik Mickleburgh to take his 250th first-class wicket and the hosts closed 97-4, 101 runs behind. Kent’s decision to bat after winning the toss immediately looked a poor choice as Masters (3-44) and Jesse Ryder (2-54) reduced them to 14-4. Northeast, who hit his third ton of the season to take him past 650 runs for the season, Billings and Stevens were the only three batsmen to make double figures as the other eight made a cumulative total of just 18 runs. Wickets continued to tumble when Essex came out to bat – Tom Westley was removed by Mitch Claydon for a fifth-ball duck before Stevens (3-32) reduced Essex to 67-4 with his right-arm medium pacers. 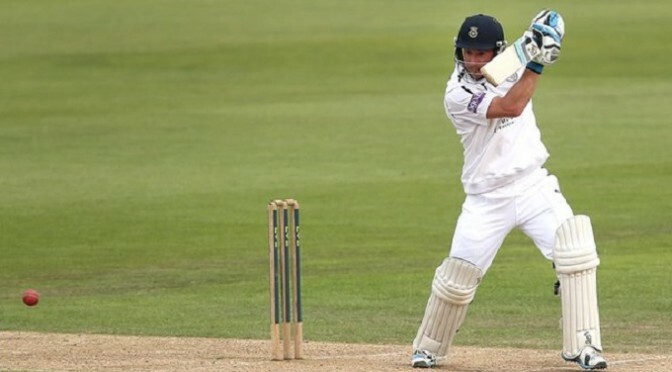 Ryder (28 not out) and James Foster (5 not out) finished with an unbeaten 30-run fifth-wicket stand as they looked to shore up Essex’s innings.